One Side Longer than the Other! After my 'accident' almost 2 years ago now I have noticed that one side of my hair is longer than the other and the side that is shorter has much coarser hair, is more difficult to relax and has much more breakage. This is also the side that had the unfortunate bald patch. The reason I started my journey was to prevent this baldness ever happening again. I guess it something I have to keep an eye on but I hope I haven't permanently damaged one side of my hair. Its no secret and if you read this blog regularly you will know that I love the phytospecific hair care range. So I guess you would not be surprised that I just purchase products from their skin range. I have always thought of my self as similar to a variagated leaf, as my skin has always been patchy and I have many dark/light pigmented areas all over my face. All in all it is a mess and my uneven skin tone was driving me insane. Packed with Hibiscus (reduce cohesion, accelerate natural desquamation process), this easy applicator guarantees optimum effectiveness to reduce the appearance of spots leaving you with flawless, fabulous skin. Using phytospecific's exclusive depigmenting technology AnaMelanium formulated to attack pigment disorder, reduce blemishes and significantly unify skin. Offers long lasting rehydrating action and is suitable for dry to very dry skin. Intensely nourishes skin but is not greasy. 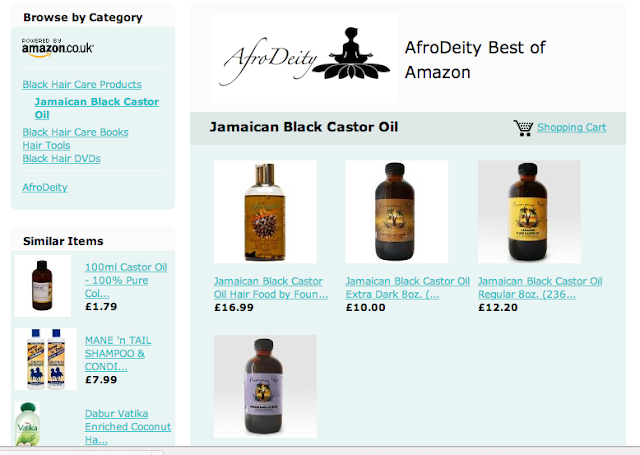 You can buy these products from Pak Cosmetics and AfroTherapy. So far my only comments are that they all smell amazing, I went up to my husband and said "smell my face", because I was so pleased they had arrived, I tried them straight away. The anti-dark spots product had a nifty little plastic brush at one end, will let you know how it goes. If you live in London chances are you will have come across a Pak store during your hair journey. Although I used to shop there when I lived in Essex, since I moved to the sticks I hadn't tried their online store, I had kinda given up on getting all my stuff from a store that sold everything. Several of you had commented on their online store (Both retail and wholesale) and I thought "okay, cool, I will have to try them one day". I ordered stuff on Monday around 7:00 before I went to work. Of course being stingy I asked for the cheeapest postage, £5 to deliver a box of heavy hair product in 3-5 days, seemed reasonable. Lo and behold at 4:00 this after noon (just over two days after my initial order my pacage from Pak arrived by Royal Mail. Fair dues to Royal Mail for getting it here so soon, but Pak Cosmetics must have dispatched it on Monday afternoon for me to get it that fast. My goods were also well packaged. They also had a good range of products from my favourite PhytoSpecific Range to Elast QP. I bought some coconut oil, of which I had been having trouble getting hold of. An d to top it off they were all reasonaly priced. Live in sticks need good hair stuff, I suggest giving Pak's Cosmetics online store a try! They are currently having a 10% off sale. All in all this is an interesting tool and I have given it a good almost three week trial. It was really useful for smoothing but was obviously made for people with longer hair and would probably work better with fine hair or for untangling extensions. It did work well with wet hair and my newly relaxed hair but not so well when my hair was bone dry or getting extremely coarse. The best thing with this tool was that breakage was next to nil and you could count the hairs as the bristles are really far apart. I will still keep using my Teezer, but probably not whilst I am stretching as my hair does get really coarse. However, that was why I bought it, so although not completely disappointed as it is a good tool, it may generally work better as my hair gets longer and I can manoeuvre it better. The Teezer is great if you have given up your old bristle brush in favour of a wide tooth comb and are really missing something for smoothing down stray hairs. Anyone else had bad or good experiences with the Teezer?? Just a quick update! I am quite pleased with the growth since November. I finally used my new Tony and Guy Ionic Moisture Lock Hair Dryers. Quite good in that they have ionic settings and settings for thick or fine hair . I choose the high ionic setting and the setting for thick hair. The air that came out was quite cold on my wet hair, but I am glad it was not hot. It was nice to hold and easily manoeuvred. My only critisism is of the pik attachment which had quite fine teeth. Otherwise a really nice tool. So as another weekend ends I am at a loss for what on earth to do with my hair this week, I need easy, quick, fashionable and protective and I have to be able to do it quickly so after looking through various beauty sites. I plan to try the following hair styles, possible in this order. Send in your photos if yo have tried any of these are some of the previous protective styles featured here on AfroDeityUK. So I walk into Tesco to buy some bread and Lemsip and saw that they had an offer on Aussie products. I bought the Aussie 3 minute miracle reconstructor and thought I would try it out and if it was a good as everyone raved about incorporate it into my regime on Wednesday when I do my cowash and Joico Intense Hydrator Conditioner. Cheryl: "Have you tried this"
Me: "No, but I heard its good"
Cheryl:"It is so amazing... its like... the best conditioner ever, I like totally tried it and my hair felt amazing, then I totally stopped using it and couldn't understand why my hair felt so rubbish, then my friend said what conditioner are you using and I completely realised that it was because I had stopped using this stuff... so anyway, its really good"
Me: (after I close my mouth wondering how she managed to talk so fast) "Thats good to know, Thanks!" So here's to Cheryl as on her recommendation I tried this conditioner and it is ...like... amazing!! I have squeezed it into my regime and hope to give a proper review after a few weeks of using it. Then I decided to give the Tangle Teezer a go in wet hair and Huzza!! worked beautifully and brushed through my hair effortlessly. I will definitely be using this on wet hair in future. With the nation gripped by the coldest winter for the last 30 years (the coldest winter in my entire lifetime) I am finding it so difficult to want to get my hair wet for my weekly cowash etc. It is just too cold all I want to do is snuggle up in bed and stay there. Brr.. and it is going to snow tomorrow.. Great! Hope you are all keeping warm and protecting your hair from this harsh winter. I really hope it lets up in a week or so as not sure how much more my hands and/or my ends can take. Embrace Your Brrr... AfroDeity and Stay Warm! So it has been 7 days since I started using my tangle teezer, so far not that impressed with its knot removal, but have been using as a smoothing tool in the morning and have found that to be quite beneficial as it does not break the hair or scrape the scalp. The 'bristles' are quite mild on the scalp and kind of massage my head. Hmm, I mostly want to see f continued usage will minimise the amount of hair I currently lose. I know that by not using a bristle brush on my hair anymore has really stopped alot of breakage. Anyway, I will continue with my Teezer Diary and will post updates so you too can see if this has made any difference whatsoever. Did you miss any posts from 2009 click here to catch up with any posts you may have missed!